Hair extensions can be styled to create so many different fabulous looks! One of our favorite things to do with human hair extensions is curl them, of course. When curling hair extensions, you are able to give body to your hair and get those thick and luscious locks you desire! This is especially useful for those of us who have fine or thin hair. Before you take out your curling iron, it is important to take into consideration the type of hair extensions you have before stylingĄ­ you don’t want to risk damaging your beautiful alternative hair! While human hair can be styled using higher heat, synthetic hair is a little bit different as it is not always heat friendly. You must make sure you know what type of hair you are working with before starting! With heat friendly synthetic hair, you are able to use heat tools, as long as you don’t exceed 350 degrees. Follow the five easy steps below for quick, gorgeously curled hair. Before we begin, curl your own hair as you normally would. We are going to style the synthetic hair extensions prior to installing themĄ­ so go ahead and curl your bio hair so we can knock that part out of the way! Step One: Make sure that your curling wand is set anywhere from 250-350 degrees if your extensions are synthetic. If you exceed this temperature, you risk melting the synthetic fibers! It’s important to remember not to use a regular hairbrush on alternative hair, instead use a wide tooth wig comb! Step Two: Next, get the hair extensions ready for styling. Remember not to style the extensions before putting in! Using a Styrofoam head and T-Pins, pin your hair extensions to the Styrofoam head so that the hair extensions will stay secure while curling. Step Three: Once the curling wand has warmed up to the correct temperature, wrap small portions of the hair around the curling wand and hold for 5-10 seconds. Step Four: Clip it to cool it! Remove the curling wand, but keep the coiled hair in place until it cools using a clip or your fingers. This step is crucial in ensuring that the synthetic hair holds the curl! Repeat these three steps until you have beautifully curled hair extensions! Step Five: Mist with hairspray designed for wigs and extensions. Make sure not to use hairspray formulated for bio hairĄ­ this can damage your hair extensions. Use Heat Treat by Jon Renau to extend the life of your extensions, so you can have beautiful hair for months to come! Curling your hair extensions requires a little more time and effort than when compared to natural virgin hair vendors that it does come with added benefits! If your extensions are heat-friendly synthetic hair, they will hold style much longer than natural hair doesĄ­ so you don’t have to style the hair as frequently! 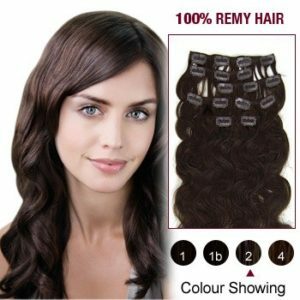 As long as you follow the five easy steps above, you can get stunning curly hair extensions whenever you want!